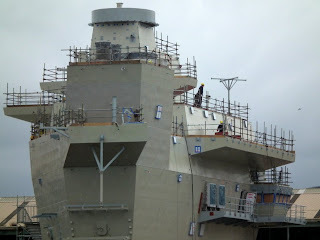 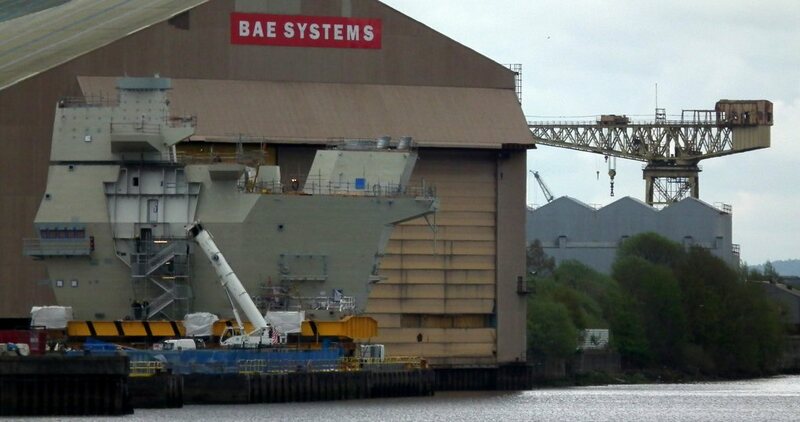 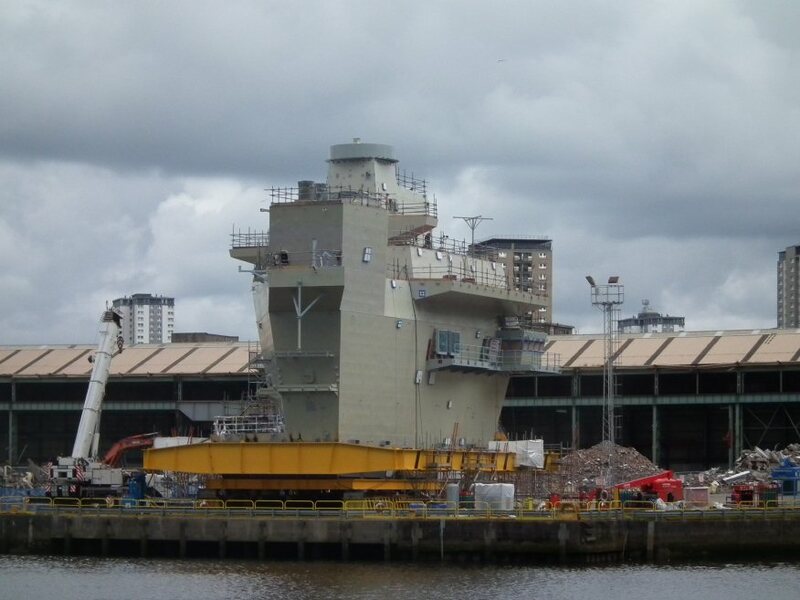 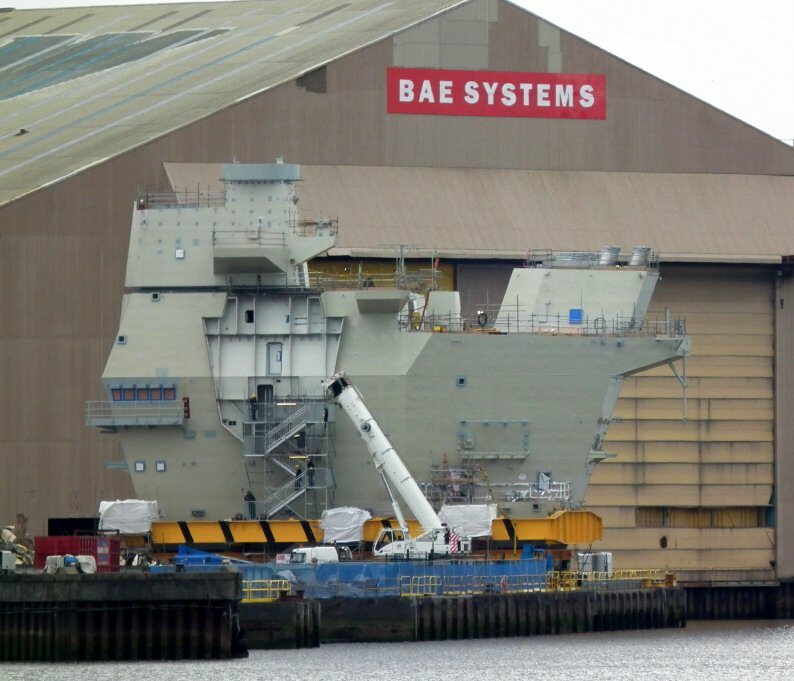 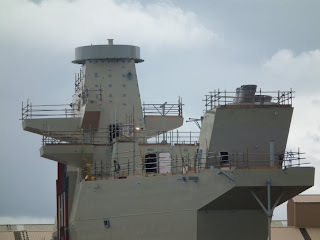 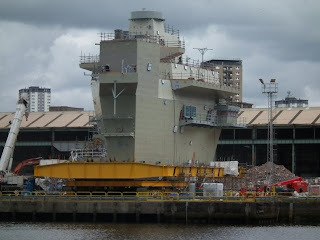 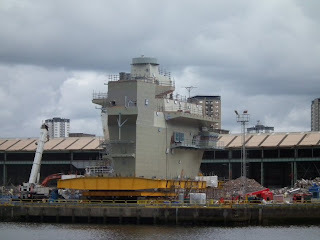 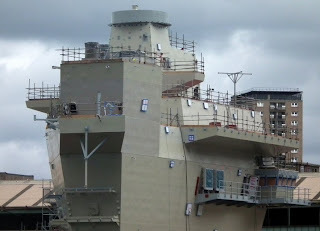 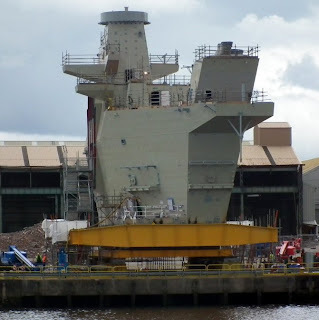 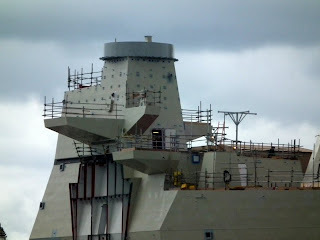 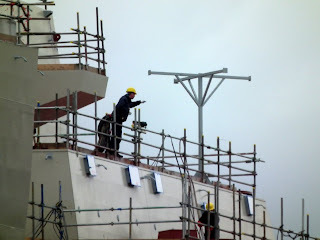 The bridge section of HMS Queen Elizabeth aircraft carrier at the Scotsoun yard in Glasgow. 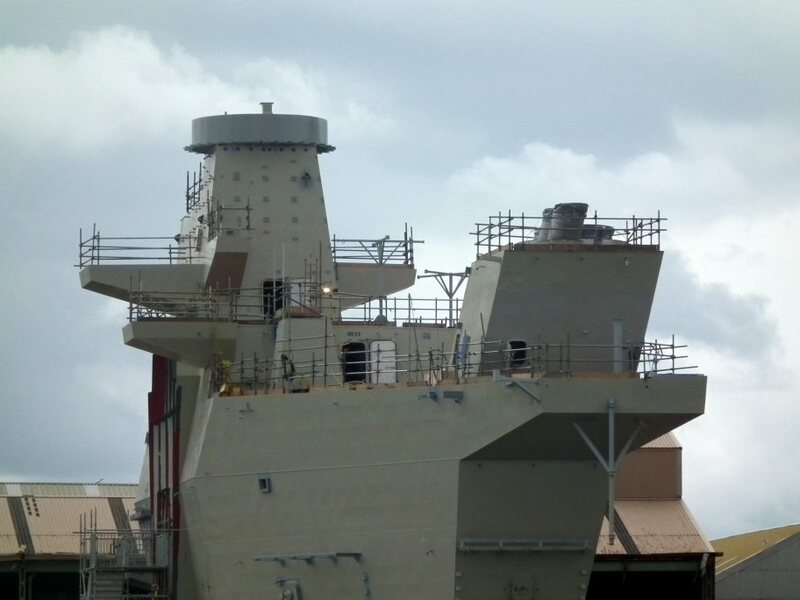 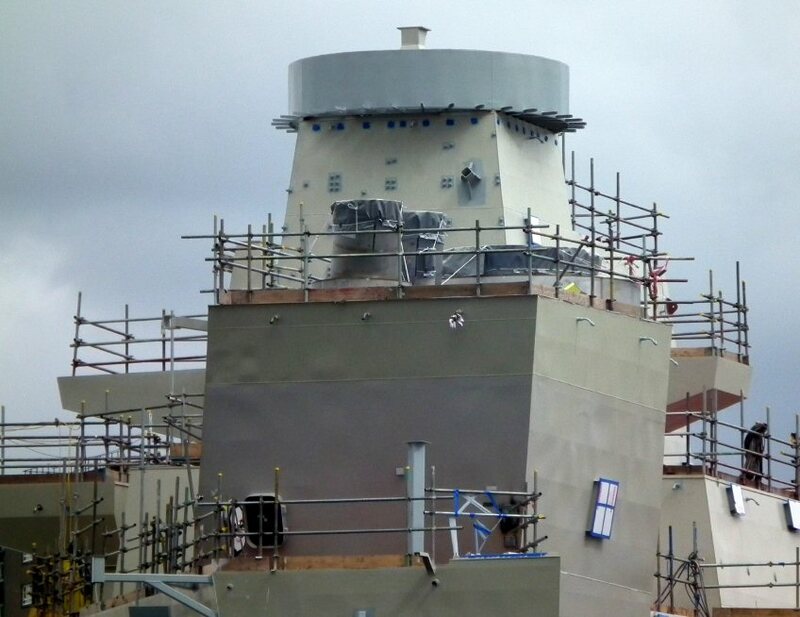 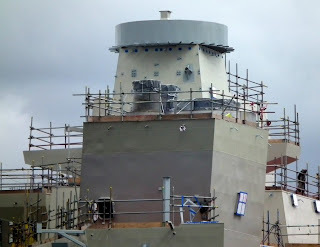 She will be taken by barge to Rosyth on the east coast were it will be assembled with the rest of the carrier . 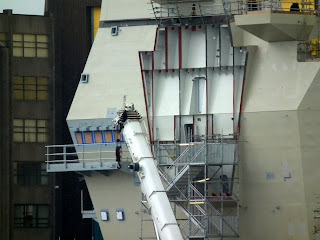 Click HERE for lower block four move.